Ayurveda is one of the oldest natural treatments in the world, which roots reach deep in the indian Veda- knowledge heritage. Ayurvedic treatments have spread across the world and have become more and more common in the western culture. In ayurveda, human is thought as a whole, in which the balance of the body and mind is the base of our wellbeing. The treatments are indulging and deeply relaxing, so you can breathe in peace and let go of the rush of the ordinary life. In the Ayurveda treatments i use Frantsila's domestic organic oils according your own bodytype or according the treatment. The massage maneuvers are light, long and rhythmic movements. Important part of the Ayurvedic treatments are the treatments of the marma points. With marma points, we can tend deeply different functions of the body, doshas and different organs. 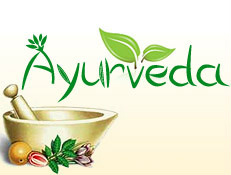 Ayurvedic treatments are suitable for young and old people, also for children. With the Ayurvedic head- and face treatment there have been good results amongst overactive children. Ayurvedic treatments are not suitable for pregnant women until the last month to prepare the mom and the child for the upcoming delivery and to give strength for the future. Regular massage and oilmassage advances health and prevents unbalanced states. Ayurvedic treatments are best suited to take regularly. Each treatment goes deeper in the body. The whole head- and face area and the neck and shoulders area are treated. The treatment is made with an Ayurvedic nursing head- and faceoil. Please reserve clothes that can get a bit oily. The hair is also treated with the Ayurvedic oil, so please notice this, when planning the day's program and reserve yourselfthe chance to get in the shower in your home after the treatment. Deep relaxing, the ease of stress and rush. Makes you feel lively, energetic,young and beautiful. improvement of the head- and face area blood circulation. Removes muscle tension and the tightnes of the scalp. Unites, raises and returns the elasticity of the face area. Nurtures the hair and the scalp. Raises mood and helps to unlock emotional locks. The backside massage is a combination, where the head area, feet, back, neck, shoulders and both hands are treated.At the start of the treatment we define your body type and choose the Ayurvedic oil that suits you.Please reserve clothes that can get a bit oily. The hair is also treated with the Ayurvedic oil, so please notice this, when planning the day's program and reserve yourselfthe chance to get in the shower in your home after the treatment. Deep relaxing, cleansing and reviving the whole body and mind. Improves blood- and lymphic circulation. Invigorates metabolism and relaxes the muscles. Reduces the rigidity of the joints and bends the spine. Nourishes and nurtures the skin, hair and scalp. Relieves from stress and rush. The frontside massage is a combination, where the head area, feet, back, neck, shoulders and both hands are treated.At the start of the treatment we define your body type and choose the Ayurvedic oil that suits you.Please reserve clothes that can get a bit oily. The hair is also treated with the Ayurvedic oil, so please notice this, when planning the day's program and reserve yourselfthe chance to get in the shower in your home after the treatment. According to the Ayurvedic tradition, the treatment is oriented for women. The wholebody treatment is a wonderful, complete treatmment, which combines the backside and the frontside treatments as a whole. Your body and mind gets a balanced, solid wholeness of treatment from the tip of your toes to the top of your head. The treatment is deeply relaxing and integrative. You get to sink in a peaceful sense of rushlesness, you can relieve from stress and the duties of the everyday life. t the start of the treatment we define your body type and choose the Ayurvedic oil that suits you.Please reserve clothes that can get a bit oily. The hair is also treated with the Ayurvedic oil, so please notice this, when planning the day's program and reserve yourselfthe chance to get in the shower in your home after the treatment.